Incarnate Word Academy Angel eBRARY provides students, faculty, and staff with all-access to thousands of academic resources, offering proper primary and secondary material for scholarly citation, audio clips, historical video archives, college prep resources, assignment management systems, scholarship information, and career guidance. The tools and resources available on Angel eBRARY prepare students for the technologically advanced, academic environment of today's top colleges and universities. Plus it is available anytime, anywhere with an internet connection — on the desktop and media devices that students already regularly use. 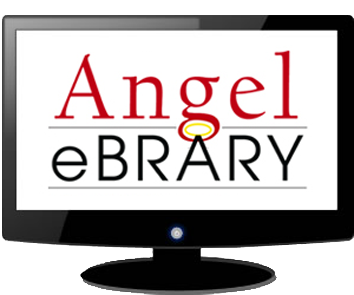 Angel eBRARY databases are listed under suggested grade levels. all research programs, regardless of grade level. ParentsWeb is a next-generation scholastic management system. Parents and students have access to lesson plans, homework, grades and other important school information via a password protected online account that is available 24/7 from any location via the web. Destiny Library Catalog combines circulation, cataloging, and searching in one web-based software system. It allows users to access our new eBook collection and search the availability of books in our Library Media Resource Centers (LMRCs). It is easy-to-use and provides portals tailored for Elementary Level as well as for Middle Level/High School. Destiny also offers students the ability to match book titles to their respective reading levels and interests. Naviance offers a comprehensive way to inspire students to become more involved in the process of post-secondary planning by connecting learning to meaningful personal goals. The service empowers students to take ownership of their future, raising expectations of themselves to better prepare for colleges and careers, while at the same time engaging parents, potential colleges, and school advisors in the student’s success planning process. Discovery Education Streaming Delivers over 7,700 full-length videos segmented into 77,000 content-specific clips for streaming and downloading. Local content, such as Kent's VisFest, Culminating Projects, and History Day videos are available. Users can search to locate grade and subject-specific content to view on their computers. EBSCOhost® offers more than 300 full-text and secondary databases. EBSCOhost is the most-used reference resource around the world. A customizable, intuitive search experience, EBSCOhost is designed to cater to various user needs and preferences at all levels of research. Thomson Gale databases cover a wide range of subjects including general academic, business, health, and children's resources. Most Thomson Gale databases utilize the Powersearch interface and include Academic OneFile, General Business File ASAP, Health Reference Center Academic, Gale Virtual Reference Library, InfoTrac OneFile, LegalTrac, etc. In addition, there are other databases from Thomson Gale which have their own unique interfaces including Literature Resource Center, Biography Resource Center, and others. The Accelerated Reader (AR) Enterprise program promotes independent reading and documents students’ growth in reading comprehension. Renaissance Home Connect keeps parents involved by linking the school and home to make personalized reading practice even more effective. From their home computer, students and parents can see progress toward reading goals, conduct book searches, review AR quiz results, view number of books read, and words read. Turnitin offers the Originality Checking & Plagiarism Prevention progam, a web-based solution that allows educators and students to check written work for improper citation or misappropriated content. World Book Kids features content and tools developed especially for young students. The site offers simple navigation, easy-to-read articles, multimedia, comparison tools, interactive games and activities, and teacher resources. World Book Advanced is designed for high school and college students and is a powerful reference tool that includes encyclopedic, multimedia, e-book, and primary source databases, fully integrated in a single search. Kids InfoBits is designed especially for students in kindergarten through grade five. Complete with an engaging, developmentally appropriate graphic interface, premier reference content and the best magazines for elementary students, Kids InfoBits addresses the way kids learn and conduct research — and makes it fun! Research in Context is offered exclusively to middle schools, providing the content and context students need to develop and strengthen critical thinking skills. Students and educators will find award-winning content based on national curriculum standards featuring original reference material, a massive archive of primary source documents, periodicals, and newspapers. Student Resources in Context is aimed at high school students, providing the content and context students need to develop and strengthen critical thinking skill. Students and educators will find will find primary documents from the American Journey series and millions of articles from magazines and newspapers; a wealth of award-winning reference content that includes overview and critical essays, biographies, and multimedia features that are updated daily. Literature Resource Center is a current, comprehensive, and reliable online literature resource. Relevant to today's curriculum, Literature Resource Center's rich critical, biographical and contextual materials support interdisciplinary approaches, information literacy, and the development of critical thinking skills. Researchers at all levels will find the information needed on works of all genres and disciplines, from all time periods—from around the world. Gale Testing & Education Reference Center provides users with in-depth information on colleges and universities, graduate and professional programs, distance learning, corporate training, available scholarships and awards, preparatory entrance tests and much more. This online education resource provides users with tools to learn more about furthering their education and helping to make informed decisions on their future. Explora for Elementary Level students is designed specifically for the needs and abilities of primary students. This interface combines a state-of-the-art search engine with a child-friendly, graphically-rich design that is both powerful and fun to use. Explora for Middle Level students provides an exciting and easy way to experience online searching. Explora has many helpful features, including topic overviews that provide students with a starting point for research. Explora for High School Level was developed to support high school students in student research and classroom instruction. It provides students with the research tools for easily obtaining the information that they seek from over 300 databases.